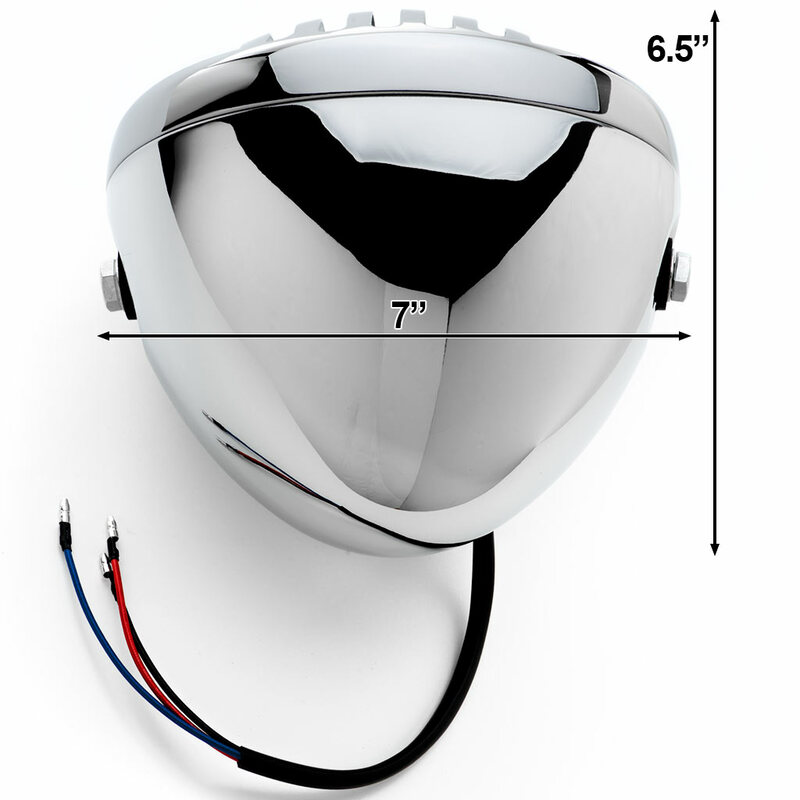 Chrome Round Finned Grill Headlight features a 7" diameter housing with 12v35w H4 bulb. This is for the headlight only. This is the perfect additionor upgrade to any cruiser, bobber, cafe racer, or retro style motorcycle.